Xiaomi Redmi 1S smartphone comes with 4.7-inch 720×1280 display powered by 1.6GHz Quad core processor alongside 1GB RAM, 8-megapixel rear camera and 1.6 MP Secondary Camera. 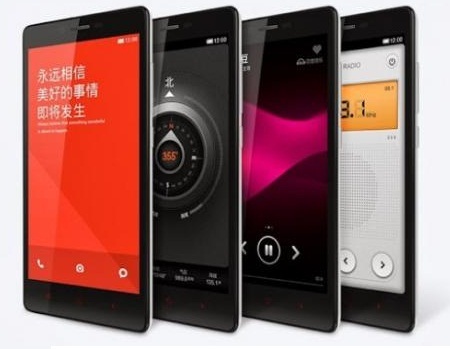 Xiaomi Redmi 1S smartphone comes with 8 GB Internal Memory, Expandable up to 64 GB and runs on latest android operating system Android v4.4 (Kitkat). Xiaomi Redmi 1s flaunts a 4.7-inch display with a resolution of 1,280 x 720 pixels. The Xiaomi Redmi 1s runs on Android 4.4, further enhanced by MIUI v5 with quad-core Qualcomm Snapdragon 400 SoC clocked at 1.6GHz, complemented by 1GB of RAM. The Xiaomi Redmi 1s comes with an 8-megapixel camera by an LED flash for low-light photography. It also gets a 1.3MP camera at the front for video chatting. The handset holds 8GB of flash storage onboard, out of which only 4.48GB is available to users. You can expand the memory up to 32GB using a microSD card. Xiaomi Redmi 1s include 3G, Wi-Fi, Bluetooth v4.0, GPS, USB, USB OTG. Xiaomi Redmi 1s device battery is 2,000mAh, which is user replaceable. 4.7 Inch Display with a resolution of 1280 x 720 pixels (HD display). 8 MP rear camera and 1.6 MP front camera. 1.6 GHz snapdragon 400 processor bundled with 1 GB RAM (Powerful configuration). 8 GB of internal storage with expandable micro SD card slot up to 64 GB.